Shhh, a silent retreat designed for you! 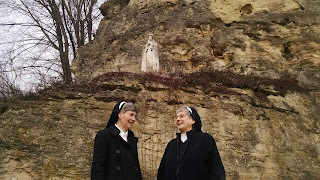 Franciscan Sisters of Christian Charity invite you to a retreat designed especially for you. 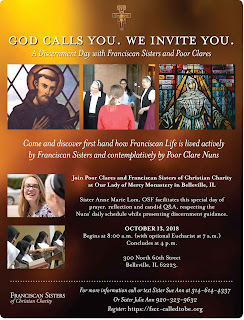 Franciscan Sister Jacqueline Spaniola leads the retreat, based on St. Ignatius' discernment process to guide you in understanding God's will for your life. 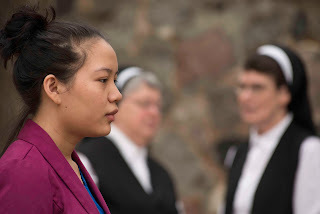 Begins Friday at 5:30 p.m. with the evening meal and concludes after Sunday dinner at 12:30 p.m.
For more information call or text Sister Julie Ann at 920-323-9632 or register at https://fscc-calledtobe.org.